While Father’s Day is not an occasion author Deborah Robertson likes to celebrate, this year the annual event will represent an important milestone. 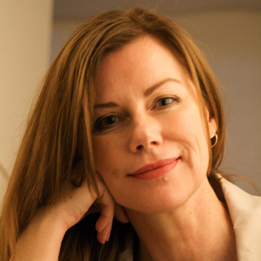 It’s the first time she’s going to speak publicly about her troubled childhood, which in the past, she’s preferred to channel through various characters in her books. Taking part in Sunday’s session, ‘Father’s Day’, Robertson will be on a panel – including Patrick Gale, Tony Birch and chair Toni Jordan – discussing relationships with dads, absent fathers and the importance of father figures. Robertson has also written a feature piece for The Age Good Weekend magazine, explaining why Father’s Day isn’t a day where everyone can play ‘happy families’. She says it’s also the first time she’s written about her upbringing. ‘Up to this point, I’ve done all my exploration of my childhood, which was a really difficult one, through fiction. Which is a mask and a disguise and a way of distancing myself from everything,’ she said. 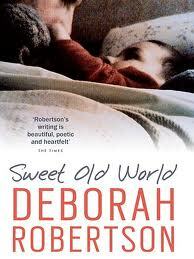 This entry was posted in Opinion and tagged #MWF2012, Author Deborah Robertson, Careless, Emerging Writers Festival, Father's Day, Melbourne Writers Festival, Sweet Old World by JenniferHansen. Bookmark the permalink.